On the centennial of his birth, the defining wunderkind of modern entertainment gets his due in a groundbreaking new biography of his early years—from his first forays in theater and radio to the inspiration and making of Citizen Kane. In the history of American popular culture, there is no more dramatic story—no swifter or loftier ascent to the pinnacle of success and no more tragic downfall—than that of Orson Welles. In this magisterial biography, Patrick McGilligan brings young Orson into focus as never before. He chronicles Welles’s early life growing up in Wisconsin and Illinois as the son of an alcoholic industrialist and a radical suffragist and classical musician, and the magical early years of his career, including his marriage and affairs, his influential friendships, and his artistic collaborations. The tales of his youthful achievements were so colorful and improbable that Welles, with his air of mischief, was often thought to have made them up. Now after years of intensive research, McGilligan sorts out fact from fiction and reveals untold, fully documented anecdotes of Welles’s first exploits and triumphs, from starring as a teenager on the Gate Theatre stage in Dublin and bullfighting in Sevilla, to his time in the New York theater and his fraught partnership with John Houseman in the Mercury Theatre, to his arrival in Hollywood and the making of Citizen Kane. 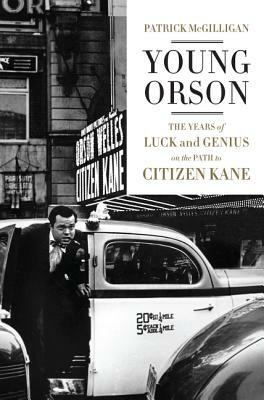 Filled with intriguing new insights and startling revelations—including the surprising true origin and meaning of “Rosebud”—Young Orson is a fascinating look at the creative development and influences that shaped this legendary artistic genius.